I spend a lot of my time, searching through my favourites department stores lusting over their newest collection and wishing I had all the money in the world. Tune in, rich girl by Gwen Stefani and Eve. The flirty, yet sophisticated look is a girl who wants to add personality to her outfit. 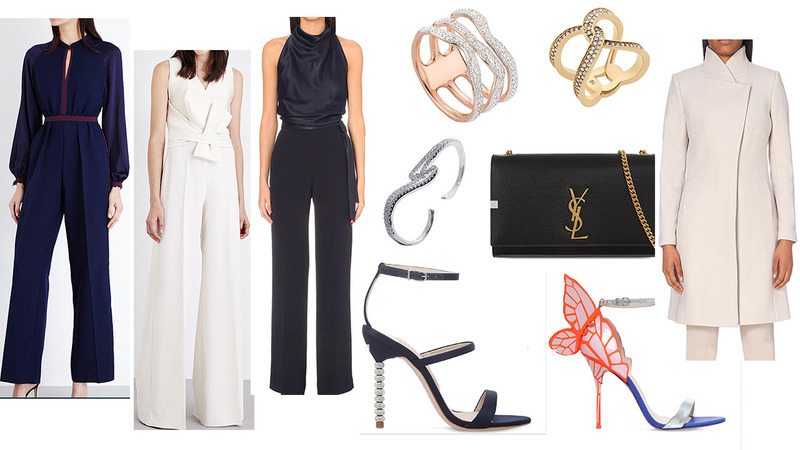 The detail of the jumpsuit is a balance of satin and illusion of separate clothing. The halterneck style softly drapes at the bodice and tie neatly at the waist. This Jumpsuit is my favourite and it screams Bumascloset. 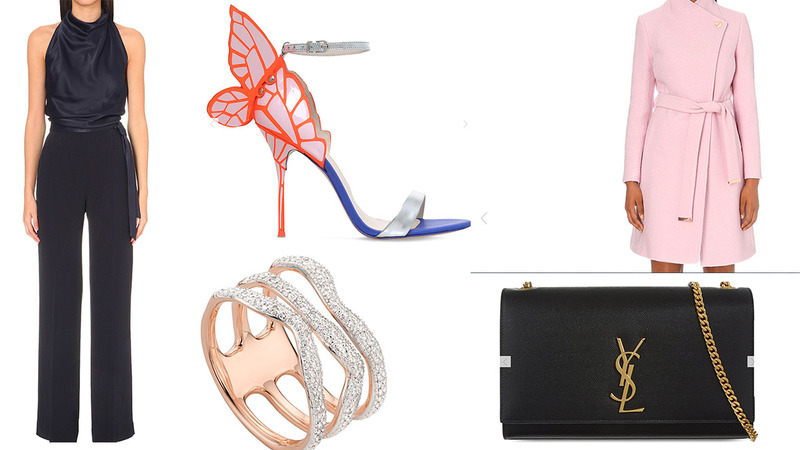 Teaming it with a Sophia Webster heels for a pop of colour, with the ring adding a touch of glitz and the clutch tying the ensemble together. 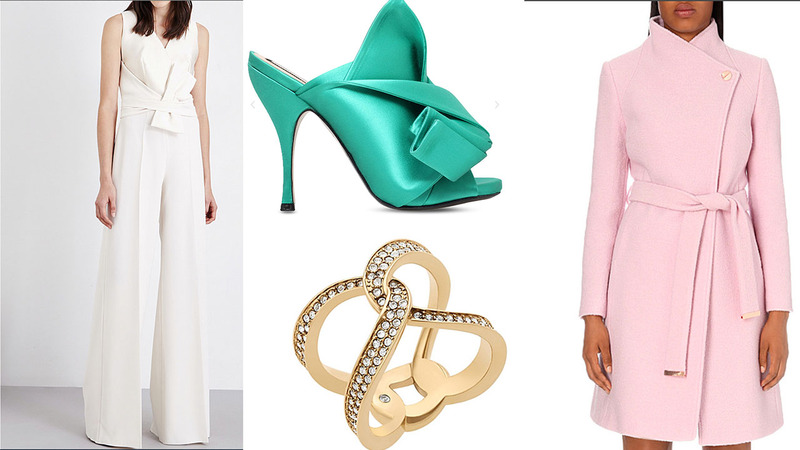 The colour of the jacket is to complement the pink in the heels. It’s very structure and classy.